Here is a giveaway worth Stylelusting over- head over to Lush Kingdom and download - An August Wedding Design Assets – by print designer James Hackett and it's not just for August or for summer either! 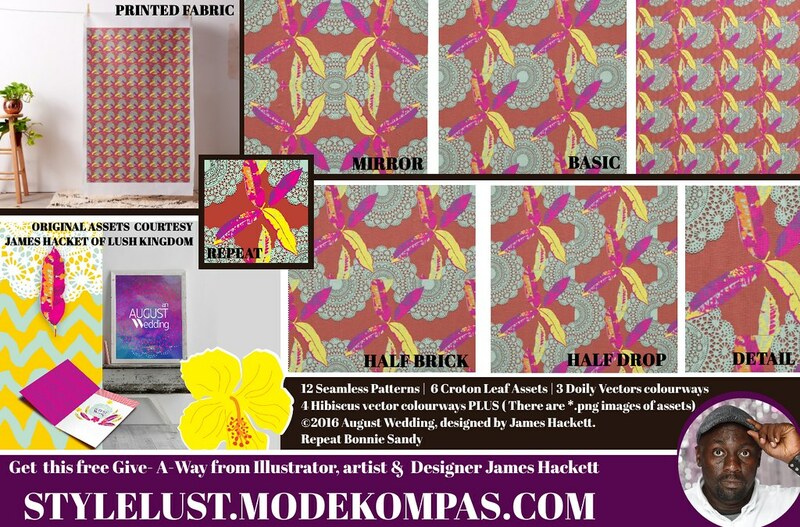 Once downloaded you can use it in your own designs even those you plan to sell... or better yet contact James directly to commission something just for you! @BKFashionweek's, Bonnie Sandy Downloaded the assets sand pulled together a fall print repeat - of course for Fabric! Note these could just as easily be a stationary theme! ©2016 August Wedding, designed by James Hackett. The Beauty of this, you are allowed to use these files for every kind of publication (electronic/print), it doesn't matter if it's commercial or not! simply click "view original link" below, to claim this free offer!